For our next act, we are offering free shipping on Cyber Monday! 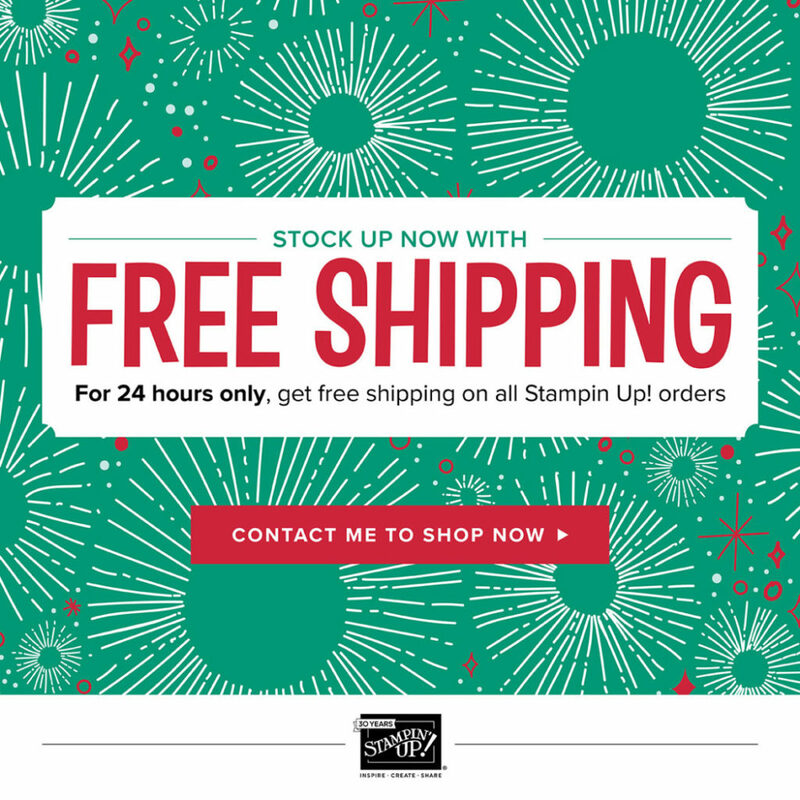 On November 27, shipping is free for all Stampin Up! orders. 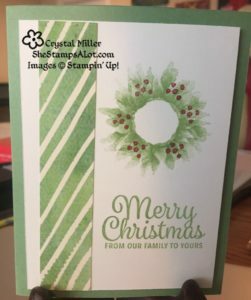 Because Online Extravaganza deals include a limited variety of products, we’ve decided to end Online Extravaganza a day early and give you and your customers free shipping for an entire day on every Stampin’ Up! order placed. We are entering the “most wonderful time of the year,” and not just because of the holidays. For us, it is because Online Extravaganza is starting soon! During this promotion, we will have exclusive deals and sales available for limited times. At this time of the year, people are shopping more, ready to spend money and looking for deals. To close out Online Extravaganza with a bang, we are offering a special 24-hour flash sale on November 27th, after other Online Extravaganza deals end on the 26th. We will provide more information on this flash sale, later in the week. Make sure to check back here for the details! 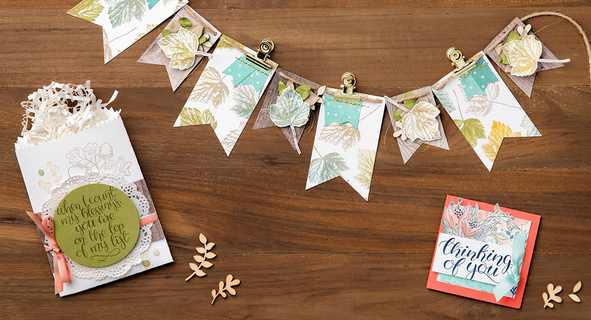 This perfectly toasty stamp set lets you encapsulate that feeling on paper. 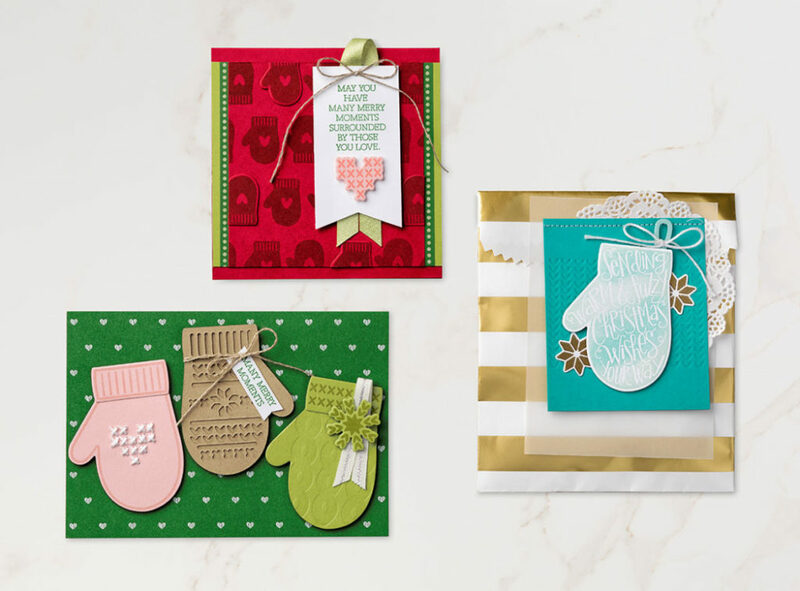 With options to create overlays and texture with both the solid and cut-out mitten shapes, you can use the accent stamps to make a cute and cozy creation! Experiment with the set, and share your works of art with me! 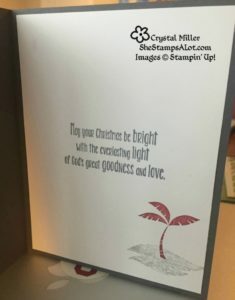 I copied this card straight from the Occasions Catalog!!!! LOVE IT! 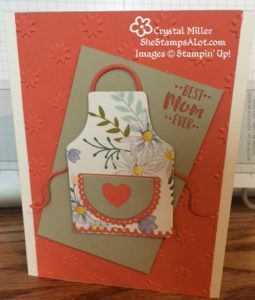 We had fun making this card for this month’s card class. 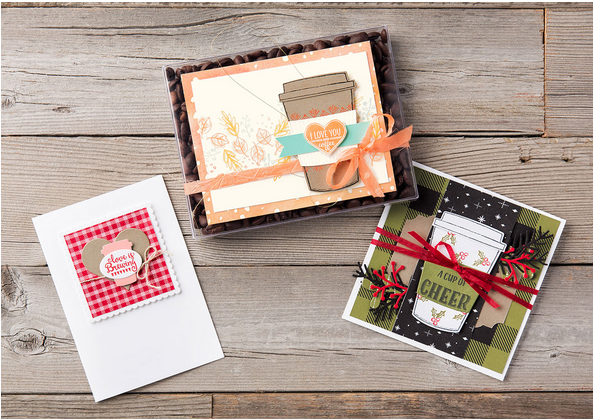 Use the versatile Merry Café Stamp Set to create festive cider or peppermint cocoa images to invoke cozy warmth during the holiday season. 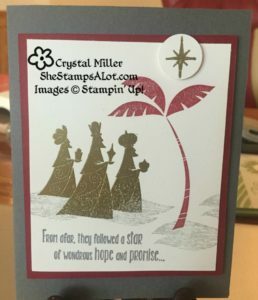 Perfectly paired with the Coffee Café Stamp Set, Merry Café can be used to make heartfelt gestures year-round, as there is no seasons’ end to the joy of reaching out and sharing a cup to reconnect and renew friendships.